Still trekking across across Africa in search of national IP policies, this Leo is in Guinea-Bissau this week, where she came up empty-handed, again. 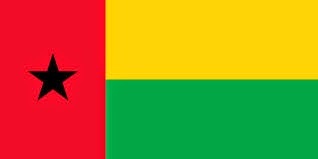 It seems that WIPO does not have any current IP Policy initiatives in Guinea-Bissau (see the list of countries where WIPO is seeking to achieve 'National IP policies/strategies and country action plans that are in line with national development plans and priorities' here). "This conference aims at providing both senior scholars and young researchers in the field of intellectual property law a forum for presenting (preliminary) results of their scientific work, having intense discussions on recent IP issues and obtaining valuable feedback for their further research. S©IPLaw primarily addresses IP issues within the European legal framework, but it is not limited to European law. In fact we also invite researchers from overseas to get new perspectives and an overview of IP issues from outside Europe."